In fact, Ideal Love is far from a simple love story. It's about people and the love that inhabits them; it's about endings and beginnings and the fear of everything in between. Although the beginnings of this novel bring the end of Gilles' life, it is just as much a narrative from his perspective as it is about Venus's grief in losing her husband both suddenly and unexpectedly. Alice Burnett's rich composition of words tangles you deep within Gilles and Venus's story, capturing the intricacies of the human mind and how it copes with love, as well as conjuring truly enchanting characters that glow from the pages. The opening chapters, establishing Gilles' death through Venus's initial grief and introducing their relationship through passages of the past from Gilles' perspective, are a little slow burning and muddled in time, but as soon as Venus meets Alex, the book becomes a compulsive page-turner. From this point in, Burnett lays Venus’s growing intimacy with Alex side by side with the beginnings of her relationship with Gilles. The astounding parallels of the two situations effectively highlights the similarities and differences in both the relationships and Venus herself with heart-breaking clarity. Though you are desperately willing Venus to open up to Alex and allow herself to love and be loved again, you simultaneously brace yourself for the inevitable moment when Venus discovers just how Alex’s past has already crossed with her own and Gilles’. Burnett’s close third person narration through Venus’s chapters delicately distances her through grief and reluctance to let herself heal and find closure. Placed alongside Gilles’ first person narrative, Burnett subtly conveys the contrasts in their characters, as well as allowing the reader to see and love Venus as the vivacious individual she was before grief. 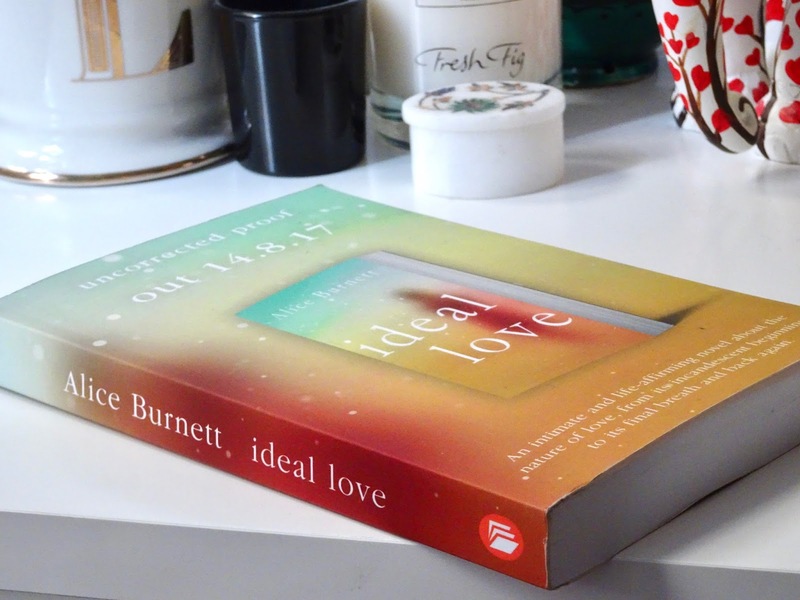 If anything, Ideal Love rules out the very notion of its titular meaning, instead offering two, or perhaps three, conflicting yet equally valid manifestations of the same emotional connection, through a set of imperfectly magnetic characters.